Two wild and crazy…erm…. peeps? 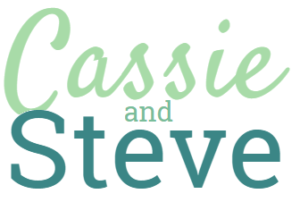 It’s Cassie here, and I just wanted to welcome you to our family blog! We’ve got a lot of different websites out there on the interwebs, so we wanted to come together and create a central hub for all of our going-ons! What you’ll see here will be a variety of things related to us! We’ll post updates on the pooches, our home, our favorite recipes, etc. !